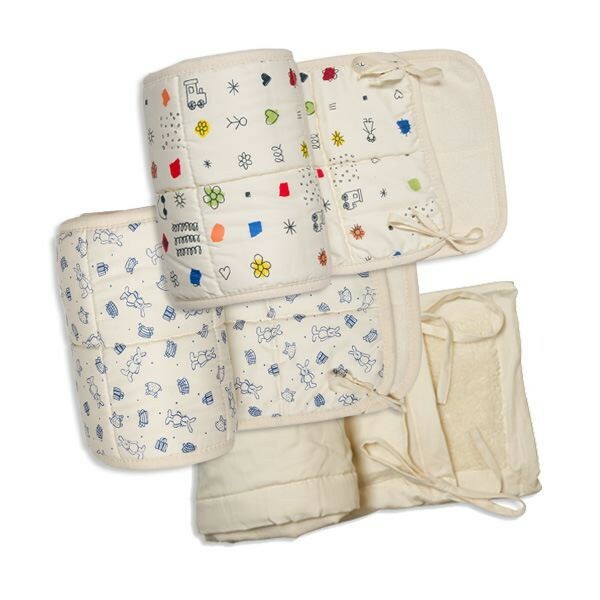 The cot head-protection pad gives your baby added security. It comes with ribbons so that it can be fastened to the vertical slats. The outer side is made from smooth cotton satin, the inner side from fluffy cotton plush. 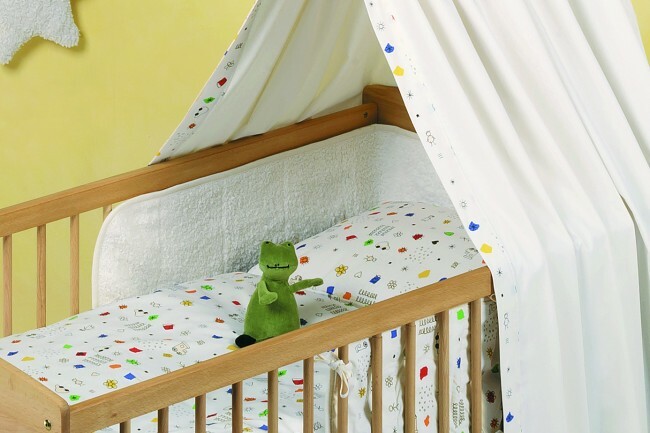 Of course both cotton plush and satin are certified organic.